The hunting of Cecil the lion on the eastern border of Hwange National Park in Zimbabwe has triggered hysteria from the public, and it’s been difficult to sift fact from fiction. 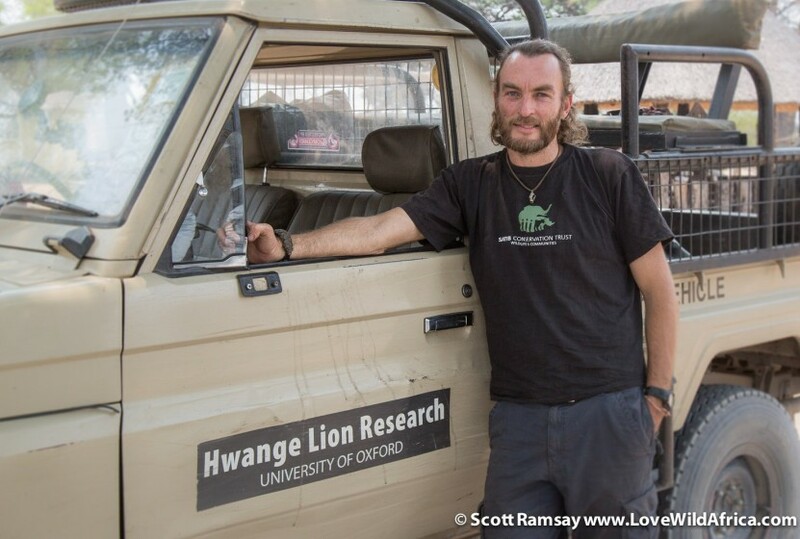 While I was recently in the 14 650 square kilometre park, I interviewed lion researcher Brent Stapelkamp, who has worked for nine years on the Hwange Lion Research Project, which was started in 1996 by Dr. Andy Loveridge as part of an Oxford University study on the dynamics of hunting on lion populations. (Click here to download the research paper). Brent lives on the border of Hwange, and is responsible for collaring, tracking and studying the lions that live in the east and south of Hwange, part of which formed Cecil’s territory. Cecil was collared in 2008 with a GPS satellite collar, and at the time of his death, he was one of 30 collared lions in Hwange. The data of his movements was uploaded every two hours to a database. Together with hundreds of hours of direct observation of Cecil, the data gave Brent a better understanding of Cecil’s movements and behaviour than anyone else. According to Brent’s data and information, Cecil was initially shot and wounded with a bow arrow at about 10pm on 1st July 2015, on a private farm in the Gwaai Intensive Conservation Area, about a kilometre east of the national park’s unfenced boundary. An elephant carcass was the bait. From subsequent data on Cecil’s collar, the research team could tell that Cecil had been killed by a second shot, about 11 hours after the initial arrow was shot into him. He died around 9am on 2nd July. Scott Ramsay: What was illegal about the hunt? Brent Stapelkamp: First, there was no hunting quota on lions this year in the Gwaai area. The minimum age of lion that can be hunted is six years. Last year in 2014 only one lion out of the five shot in the area was above six. One of those lions was just 2 years old. So this year, the hunters were penalised, and the quota was removed from the landowners. Cecil was supposed to be 100% safe because there was no lion hunting allowed this year. Second, the Zimbabwe law says that if you’re hunting a lion you must have a parks ranger with you. There was no parks ranger present. Third, the hunter shot Cecil with a compound bow. The law says you must have a special permit for that, as well as ranger present on a bow hunt. Fourth, the hunt permit was bought on a quota swap, which is illegal. The hunting operator bought the permit from an area elsewhere in the country which had no lions. Then he came to the area next to Hwange and hunted Cecil with an illegal permit. Fifth, there were no hunt return forms, no tax invoice, and no-one in an official position in parks knew they were hunting, all of which is illegal. Scott: Is it legal to hunt predators at night with a spotlight, and is it legal to use bait? Brent: It is legal to hunt using a spotlight on private land. And yes, hunters in Zimbabwe are allowed to bait cats like lions and leopards in order to hunt them. Scott: What was special about Cecil? Brent: He was a favourite among visitors because he was so relaxed around vehicles with people. He made a great spectacle, and was so confident that even if you were right next to him, he’d ignore you and just do what lions do. He wouldn’t sit and watch you. He’d just carry on being a lion. And this is why hunting areas and eco-tourism areas shouldn’t be adjacent to each other. Because Cecil was so relaxed around vehicles with people, he probably wasn’t at all worried about approaching the bait that the hunters set while they were waiting. We’ve subsequently heard that Cecil’s fellow pride male – Jericho – came to the elephant carcass first. The hunters then waited an hour, watched Jericho feed on the elephant, and then Cecil pitched up. So that just shows that they were after Cecil, because honestly, if you saw Jericho, no hunter would turn him down. Jericho is also a very impressive lion, but they were targeting Cecil, it seems. Scott: In the case of Cecil, some hunters say he was old and past his breeding age, and no longer part of a pride, so was a suitable target? Brent: Yes, hunters will say that, but even though he was 13 years old, and older than most lions, he was still dominating the breeding and holding his substantial territory. His teeth were in perfect condition. He was in his prime. Even his male lion partner Jericho – which was a huge lion himself – never had much of a chance to breed because Cecil was still the boss of two different prides. So it’s nonsense when hunters say he was past his best. Scott: What has the impact been on the lions in this territory now that Cecil is dead? 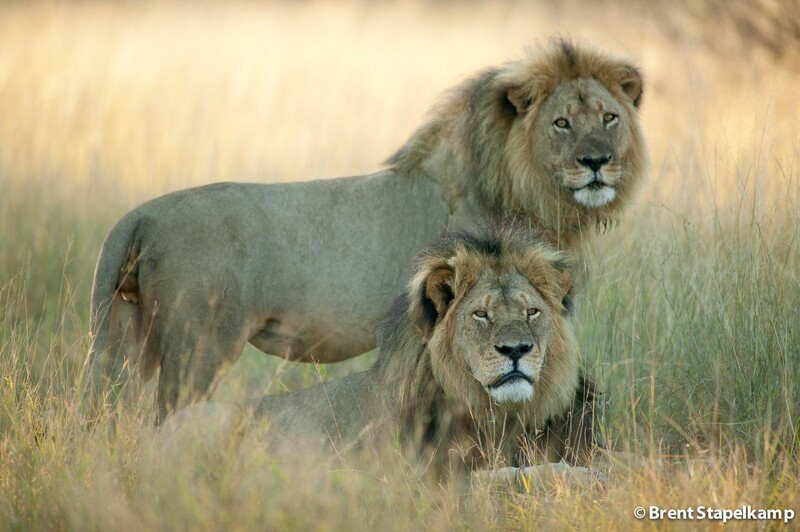 Brent: Together, Cecil and Jericho looked after two different prides. There’s one pride with three lionesses, but no cubs, and Jericho is now spending most of his time with them since Cecil died. But the other pride, the one with Cecil’s cubs, has shifted its territory. They were from Ngweshla, further south. 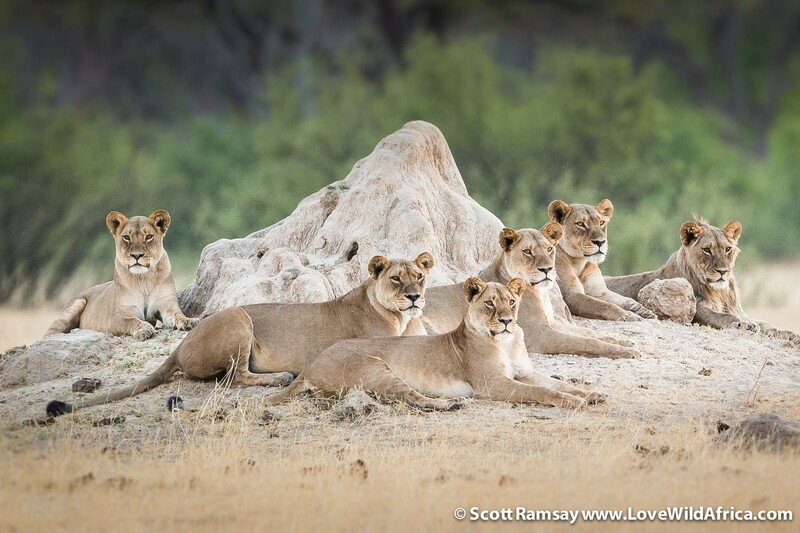 Now, since Cecil’s death, another big pride of about 22 lions has moved in there and pushed Cecil’s pride out. So Cecil’s pride with cubs now only has Jericho as a dominant male, and he’s hardly with them, so there’s a real risk of Bubesi, the male from the incoming pride, killing the six cubs. Cecil had seven cubs, but one of them disappeared recently. No-one knows how or why. Scott: What are the goals of the Hwange Lion Research Project? Brent: They’re continually evolving. Today the main goal of the project is too mitigate the impact of human-lion conflict in surrounding communities, using lion guardians to track the lions and keep them away from cattle and livestock. But the original goal was purely research-based. Ironically, Dr. Loveridge studied the impact on the park’s lions of the hunting of lions on adjacent land. So the exact scenario that played out with Cecil, where a dominant male lion is lured out the park and killed. What is the effect of this type of trophy hunting on the park’s lions? And what Dr. Loveridge showed in his study is that a vacuum effect is created. If you shoot a lion that is lured from the park into the adjacent communal land, his territory in the park becomes vacant. So a new male lion from deeper in the park fills the vacant territory, and inevitably he also gets shot. And so hunting is enormously disruptive and detrimental to lion prides. Scott: Can you explain why exactly trophy hunting is detrimental to lions? Brent: The perverse thing about trophy hunting is that it’s totally unnatural and completely at odds with nature’s “survival of the fittest” selection process. The hunters always want to kill the biggest male lion on the landscape, and that, by definition, is the dominant male in the pride. When hunters shoot a male like Cecil, which is generally the biggest in the area, the other smaller and weaker males which didn’t get a chance to breed now have an opportunity to mate with the females. This has long term detrimental effects on lion genetics. By hunting the biggest and strongest males, we’re interfering with the natural process and artificially allowing the genes of the weaker, smaller males to proliferate. Also, once the dominant male has been shot by hunters, the smaller male will try kill the existing cubs, which they often do. But lionesses are protective of their cubs, so they typically change their territories as soon as the dominant male is hunted. So the lionesses have to leave their territories, and move away into less suitable areas, where there’s fewer or smaller prey to eat. Or the lionesses and cubs move into community areas, and end up killing livestock. And that’s often when lions get a bad name, and end up getting shot as “problem” animals. So when the dominant male has been shot, there’s months of disruption, and finally, if and when the existing cubs are killed by the new male, the lioness will mate with this male just in time for the next hunting season. And then that male could be shot by hunters, starting the chaos all over again. Hunting of lions is just not natural or healthy. From an ecological and scientific point of view, there is no justification for it. Economically, there may be a reason because it brings in a bit of money, but that’s short term gain for long term loss, and that’s when money starts overruling logic and hard science. Scott: Why do you think trophy hunters want to kill lions? Brent: I think it’s all about the trophy hunter’s ego and his need to prove himself. The hunter’s way of doing that is to kill a lion and hang it’s head on a wall. His mates can come around and the hunter can say “look at that, I shot the world’s biggest lion” and his mates pat him on his back. Which is a joke if you consider the circumstances of Cecil’s hunt. There’s a dead elephant, they’ve set up a hide about 40 metres away, they have a spotlight, they’re shooting at night with a high velocity bow and arrow which wounds the lion. Then when the lion is so weak from being wounded, they pitch up 11 hours later and shoot it again. Where’s the challenge in that? Scott: After Dr Loveridge’s study, Zimbabwe Parks and Wildlife put a moratorium on lion hunting in the area from 2004 to 2008. What led to the moratorium and what was its impact? Brent: In 2003, there were 32 lion males on hunting quota for the 70km stretch of adjacent land that borders the eastern border Hwange, where Cecil was killed. In that same year, there were approximately 200 lions in all of the park. Of those, about 40 were big male lions. In this area in the east of Hwange, there were just two big males. Yet there was a hunting quota here for 32 adult males! Hunters were even shooting young males which were still with their mothers because there were no other male lions to find. Then Dr Loveridge’s study prompted Zimbabwe Parks to put a four-year moratorium on lion hunting. In the absence of hunting, the prides were a lot more stable, males were protecting their cubs to maturity and the population increased quickly. In 2008, after the hunting moratorium was lifted, there were about 450 lions in Hwange, and probably about 80 big males. Today, we’re hoping that the numbers are similar. We’re doing a spoor transect survey of the park at the moment so we’ll have more accurate numbers soon. Now, in this area adjacent to Hwange, there are only two male lions on hunting quota every year, down from an annual quote of 32 in 2004. So Dr Loveridge’s study was hugely influential in proving conclusively that, if hunting is permitted at all, then hunting quotas were way too high originally. Scott: Where to from here? What’s the future for hunting and eco-tourism in Hwange and Zimbabwe? Brent: I don’t think trophy hunting of lions, leopards or elephants can co-exist with eco-tourism. Look at Cecil. People at the lodges would come to Hwange to see him and photograph him. When Cecil was shot, several of the lodges lost bookings. However, we must be cautious not to throw all hunting out the window because I think there’s vast tracts of Africa that rely on hunting of animals like buffalo and antelope. But lion hunting, and hunting of cats should not be allowed anywhere. I don’t believe lion hunting should be permitted at all, no matter how unsuited the area to photographic tourism. 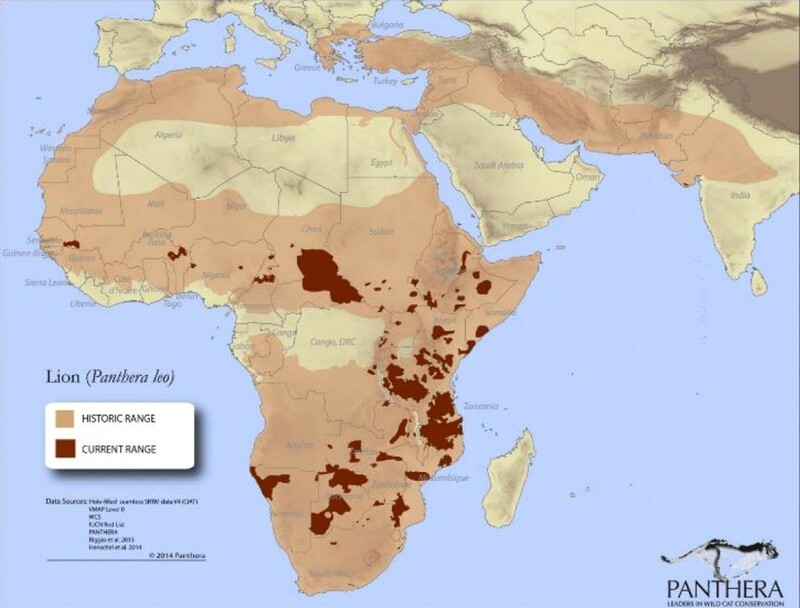 If lion hunting is permitted, then these buffer zones around the parks of Africa must be free of lion hunting. At the moment, hunters are allowed to shoot a lion as soon as it steps over the park boundary. We’re suggesting that, failing an outright ban of lion hunting, there should be at least a 5km limit, so no hunting is allowed within 5km of a national park boundary. But of course there’s huge resistance from hunters, because these adjacent areas have been so depleted of wildlife already that hunters would have nothing to hunt! I hope hunters will realise that they can’t rely on national park lions to make their money, so they will be forced to manage their own hunting land properly, so that they have their own sustainable lion prides. Scott: Brent, if you were Zimbabwe Parks and Wildlife, what decisions would you make going forward with respect to hunting on the border of Hwange? 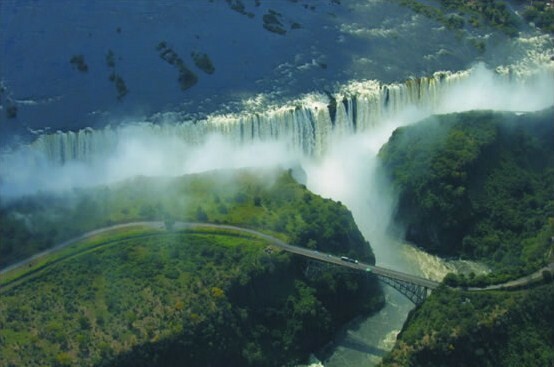 Brent: I think we have a wonderful opportunity now to include the 3 000 square kilometre Gwaai Conservancy as part of the tourism area of the national park. The ownership of the land can remain private and communal, but we should ban all hunting and turn these areas into photographic tourism. They would be fantastic areas for lodges and camps. We need to get funding to help those landowners develop their properties for photographic tourism, but once the funding is there, and after a few years of recovery, the wildlife will be spectacular. Those landowners can build their lodges and benefit substantially – and sustainably – from their wildlife. The funding from international organisations is available. We must just ask for it, and prove that Zimbabwe is a positive, transparent and accountable place. Yes, we’ve had problems up till now but we want to change that. This is what we want. Can you help us? I hope the international community would jump at the opportunity. 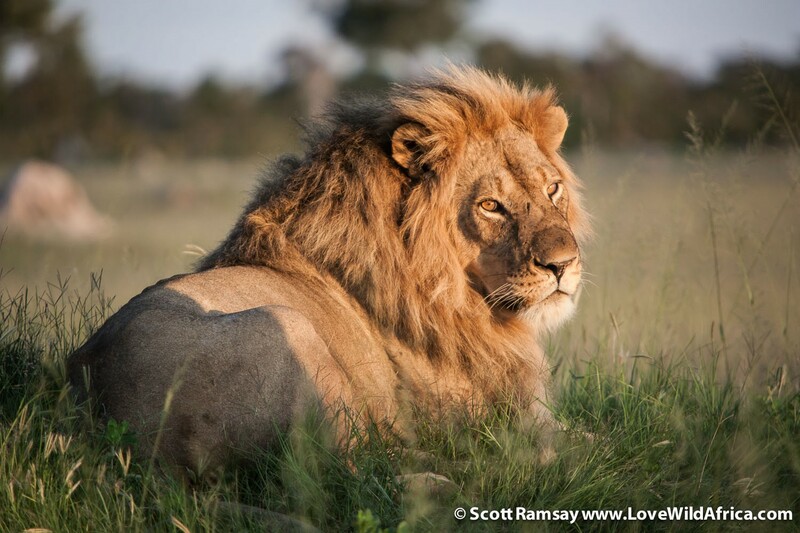 Scott: Lion populations have crashed across Africa. According to Panthera’s research, lions have disappeared from most of its former range on the continent. Their numbers have dropped from 200 000 a century ago, to less than 25 000 today. Why are lions still only listed by the IUCN as “vulnerable” and not “endangered”? Brent: It’s probably got to do with the powerful hunting lobby in the USA. If the lion is moved up from “vulnerable” to “endangered”, then hunters won’t be able to shoot lions. Some politically-influential people in the USA have a vested interest to see that lions remain huntable. The great thing about the Cecil furore is that lions are now very much on the agenda for next year’s CITES meeting in South Africa. I hope that CITES will list lions as endangered from next year. The survival of lions as a species is very much in balance. We cannot afford to be killing them anymore. There are only 25,000 lions left in Africa, their numbers have crashed about 80% in the last 50 years, and there are probably only 3 000 adult male lions in the whole of the continent. Can you imagine if hunters wanted to shoot a tiger, of which there are only 3 000 left in the wild? Tigers are listed as endangered. What’s the difference between the numbers of tigers and male lions, especially considering that adult male lions are so important to lion population dynamics? Why are we hunting lions? Lions are the animal that most people want to see and photograph. They are most in demand from tourists. Lions are Africa’s iconic animal. Yet at the same time we’re allowing the hunting of lions. It doesn’t make sense.